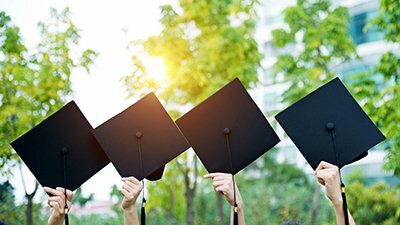 Recently, AiG-US president Ken Ham wrote an article on this website about the impact the creation/gospel message has had on college and high school students, and shared several anecdotes. 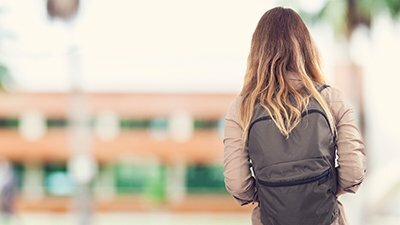 Recently, AiG–US president Ken Ham wrote an article on this website about the impact the creation/gospel message has had on college and high school students, and shared several anecdotes (see Testimonies on the Road). What has been just as encouraging is the fact that many of these young people, wonderfully impacted by the AiG ministry, are now trying to make a difference in their schools. Brady is a student at a college where the mission statement declares that it “offers a Christian, liberal arts education in an environment that encourages open intellectual inquiry … and deeper maturity.” But does it? You see, while AiG has been alerting Christians about the evolutionary humanism that pervades secular schools around the world, the greater tragedy is that Christian colleges and seminaries are compromising the authority of the Bible … beginning with Genesis. 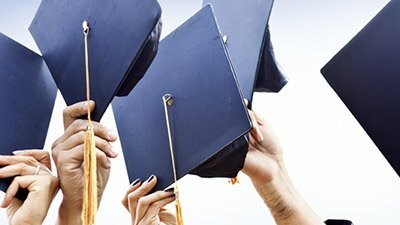 As you read excerpts from recent emails that Brady (and a fellow student) have forwarded to AiG, recounting his efforts to see his Christian college in the eastern part of America stand on the authority of God’s Word (even discussing this topic with the college president), you may be challenged to try to make a difference in the Bible schools and seminaries that you and your church may be supporting. We [Brady and some students] are trying to hold [name of college withheld] accountable to its mission statement that it provides “an environment that encourages open intellectual inquiry.” They are saying that the students will be presented with a variety of ideas, or will study both sides in an issue. The exact opposite of open intellectual inquiry is going on. The teachers and certain people in the administration are extremely closed-minded to any ideas that conflict or contradict their own. From my personal experience, when I have asked questions in class or after class, the teachers are very critical of my views, and refer to people who believe the things that I am asking them about as “fundamentalists” (they do not mean that in a good way!). The president of the college and the chair of the biology department refused to even consider the possibility of teaching both creation and evolution side by side. They said that the creation account found in Genesis is purely figurative and cannot be taken literally. [Name of college president withheld] told me that he was convinced that God never meant for Genesis to be taken literally. We firmly believe that the reason they refuse to teach both is because they do not really want to promote open, intellectual inquiry. Instead, their goal is to indoctrinate the students with their ideas. During our time here, we have grown more and more concerned about some of the things that are being taught, such as: “the Bible is full of errors.” Although we strongly disagree with what many of the teachers here are teaching, we respect and like the teachers we have had … . Over the last three years, we have personally talked to many students who have said that what they were being taught in the biology and religion classes has caused them to seriously doubt their faith, and question whether or not the Bible can be trusted. It breaks our heart to see students being led astray by what they are being taught at a “Christian” college. Two freshmen in my dorm came up to me after the first day of their Old Testament class and couldn’t believe that—on the first day!—the teacher proceeded to point out to the class that the Bible was not perfect and that it was full of errors. He also said, on the first day of class, that the whole idea that the world was saved through Noah and his family was not true. We don’t understand what the teachers are trying to accomplish by telling the students these things in their classes. I think about all the other students who are mere babes in the faith or even “lost” (I can imagine a lost person thinking: “Why should I put my faith in the Bible when it is full of errors and doesn’t really mean what it says?”). The Lord has called us to do everything in our power to uphold the precious Word of God and to do everything we can to prevent students from being led astray. Like the Apostle Paul, we have counted the cost, and no matter what happens to us, we will be obedient to God. If what the Lord is doing through us will prevent just one student from stumbling, then it is worth it all. [The college] has the potential to be a powerful tool in bringing unbelievers to a saving faith in Jesus Christ. But we are convinced that some big changes must take place for [the college] to get on track. Most parents have no idea as to what their children are really being taught at this “Christian” college. If they truly knew, I know that they would want an immediate change. Together, we can make an eternal difference in the lives of current students and those that will attend this college in the future. 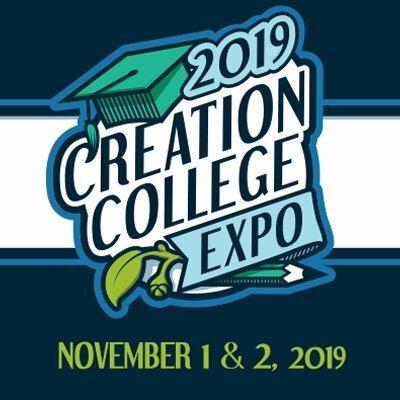 I have had two meetings with [name of college president] about what is being taught (macroevolution) and what is not being taught (the biblical account of creation). I showed him that macroevolution is being presented as a fact, and I again expressed my original appeal for both the Bible and evolution to be taught alongside, so that students can be exposed to an environment of open intellectual inquiry; then weigh the evidence for each view and come to a decision on their own as to which belief they will put their faith in. I did mention that it would be beneficial to hire a teacher who believes the literal creation account in Genesis. I am not the only student who is concerned about intellectual diversity here. I speak on behalf of a large number of students. Many students have come up to me and said that they appreciate what I am doing, and they support me. My intent is to support [the college] in its distinction as a Christian institution. I am only asking for our faculty to implement a balanced approach that is already being practiced at many other Christian colleges. I hope you will discuss this at your next board of trustees meeting. [The college] is in a great renovation/building program right now. But if we don’t build up our spiritual foundation as well, it will be to no avail. I sent a copy of this email to [the college president] before I sent this to you, the board members. Thank you for your time. On a Pedestal with Evolution? He assured me that there was reproducible, experimental proof for macroevolution, and said that experiments could be done to prove it. But when I asked him for an example, he could not give me one. My meeting with the president did not go well. To the best of my memory, he said that since macroevolution is a widely accepted theory among the scientific community, then the college must teach it. He said that since [the college] was an accredited institution, he felt that macroevolution must be taught. I offered papers I had written on the subject. [The president] is the only person that I have talked to who said he did not want the papers when I offered them to him. He said that he did not have the time to read them because he was busy with other things. He said that he will not put the creation account of the Bible “up on a pedestal with evolution.” He said that he refuses to make them both be taught side by side. It is critical that you [students and faculty] take the time to write letters to the administration and voice your concerns and desire for change. Ask them to teach creation alongside macroevolution. Spread the word to parents, alumni, citizens in the community, pastors, donors to the college, and ask them to write the president and the administrators voicing their desire for change and the elimination of the double standard. In your letters, please ask them for a response, and that they give you a plan of action as to how the present situation will be rectified. Also, please be in constant prayer for the students, teachers and faculty of the college. I intend to persevere, but I need the help of others. I have gone through the correct process, stated my position, have asked for a response and for change. I will continue on that path. Since I am “only a student,” it is vital that you help. The situation can change through the power of God. AiG will monitor these recent developments and post a report on this site if any progress is made by Brady and his fellow students. In the meantime, please take a moment right now to pray for him and others at this institution as they try to help a “Christian” college return to a belief in the full accuracy and authority of the Bible. For the moment, however, Brady is only asking that the college be balanced in its treatment of creation and evolution. If this is ever allowed, we trust that creation will be taught seriously and not mocked, and that professors will also teach the grave problems with evolution. Most of all, we would hope that the instructors at this private Christian college will teach Genesis creation as the true origins of the world, and evolution/long-ages as error.